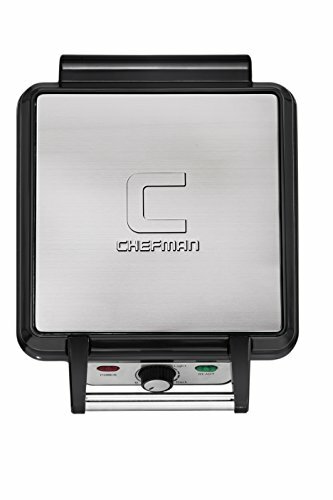 Indulge in restaurant-style waffles with deep pockets to take on even more fruit, ice cream, syrup and endless delicious toppings with the Chefman 4 slice waffle maker. 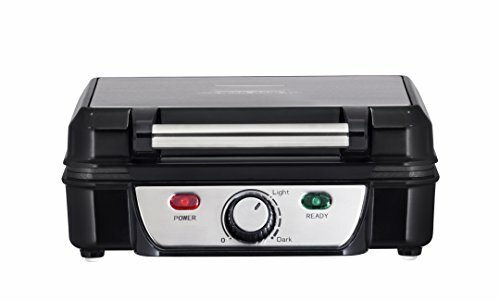 Its convenient browning control allows you to make any kind delectable dish, from chocolate chip waffles to grilled cheese sandwiches. to create light and fluffy waffles or waffles with a crispier Texture, simply adjust the temperature. When finished, the nonstick coating allows for easy cleanup, and the appliance can be stored vertically to help save on counter or cabinet space. make the most of your purchase with access to Club Chefman for tailor-made recipes, tutorial videos and more! 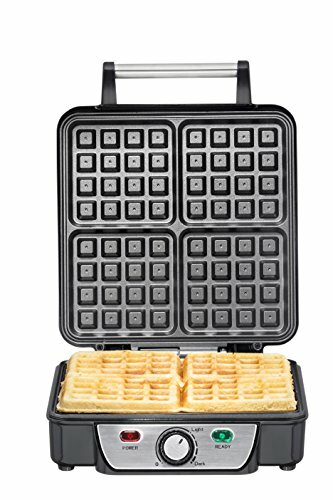 DELICIOUS WAFFLES: The Chefman 4 Slice Belgian Waffle Maker gives you the ability to create fresh, thick and fluffy waffles right in your own kitchen! 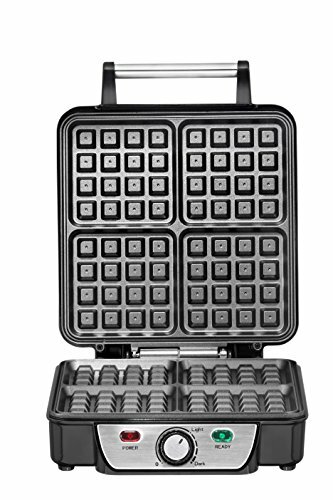 Designed with nonstick cooking plates and cool touch handles, the waffle maker is effortless and easy to use! SIMPLE TO USE: Just pour the batter onto the cooking plate, close the waffle iron and let it cook. In just a few minutes you will have a delicious treat to enjoy by yourself or with family and friends! For more evenly shaped waffles, spread the batter to the outer edges using a heatproof rubber spatula. ADJUSTABLE BROWNING CONTROL: The adjustable browning control allows you to customize your waffles the way you like it. Set the timer to a lower setting for more light and fluffy waffles and a higher setting for a darker, golden, crispier waffle. 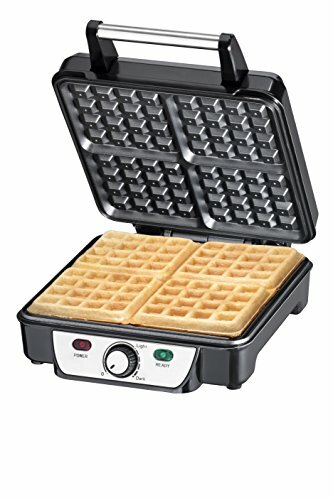 For more evenly shaped waffles, spread thick batters to outer edge of grid, using a heat proof rubber spatula or other non-metallic utensil before closing lid. ENDLESS RECIPE OPTIONS: Try all your favorite combos and create fun and tasty waffles from simple and plain to blueberry or chocolate chip! Take advantage and use the included recipe booklet for delicious recipes like whole wheat, gluten free, banana bread, waffle grilled cheese and more!